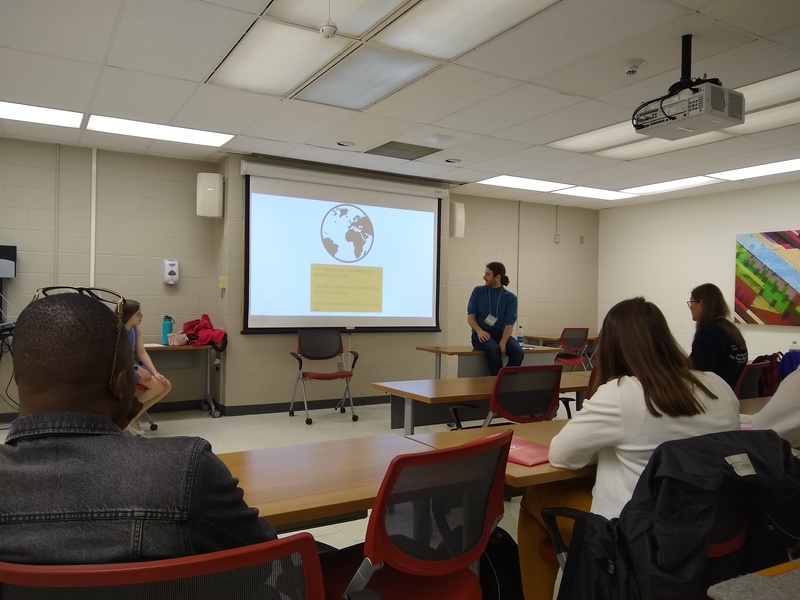 The second day of the 2019 International Conference on Conflict Resolution Education was held April 6, 2019 at The Ohio State University in Columbus, OH. My report on the first day is here, as well as my video from the first day. Check out the conference page at CREducation.net for more materials. Today’s program featured a range of sessions on conflict resolution education and careers. I attended the session hosted my Mentor Dida of Ashoka. Headquartered in Arlington, VA but working worldwide, Ashoka promotes changemaking with communities. The session was experiential in nature with Mentor leading us in several exercises that focused on our getting to know each other, and our own expectations and vision. In one exercise, I was paired with Peri, a student at Ohio State University and member of “The Conflict Project.” We discussed how we felt about the world: she was particularly frustrated by the excessive need to compete, particularly among college students. In another pairing activity, I met Steven who was concerned by the dehumanization that takes place today. Mentor introduced us to Meagan Warren who is 15 years old and has established a not-for-profit that gives away books to schools. Her group has given away 86,000 books. I then attended a session hosted by Uchimong Chowdhury, who works for the United Nations Development Program (UNDP) in Bangladesh. He talked about his work and the important role that UNDP plays worldwide. In the afternoon I attended a session hosted by Tim Burgoyne, a professor at Wilmington College in Wilmington, OH. His session looked at developing an elevator pitch that would be effective to opening up opportunities and making connections. His own work as an activist has been in the child labor area. He argued that one is better off spending 90 seconds (the time of a elevator pitch) with many people at an event, than spending an hour or two with one. Resume: This is a short sharing of the asker’s background. Fact: A significant fact follows (not opinion) from you (the asker). Call to action: Finally, the asker requests something small from the listener. Based on the Ben Franklin Effect: the more you ask of someone, the more they will do. Finally, I attended a session hosted by Sue Lucas, also a professor at Wilmington College. She is a marketing consultant: The Multicultural Marketer. She spent time with us looking at ethics in business. Today, businesses need to be ethical in order to serve various stakeholders: management, employees, customers, owners, suppliers, local community. The result has been the development of Corporate Social Responsibility (CSR). Today, businesses strive to make an impact in their communities. Advertising is a big part of the new message. Social justice objectives help business bottom lines, but also advance important causes. Today, careers with CSR departments are plentiful. Students looking to make change, should seek positions in business as a means to social justice. If you are following my other “Event Reports” go here. Recently I have visited CSIS, World Bank, Johns Hopkins University/SAIS and the SIDW career fair at George Washington University. David, thank you for highlighting my presentation! I’m so glad you enjoyed it, and I hope to connect with you again really soon!